I made two silk pillowcases recently (you can find a step-by-step tutorial on my blog) and some fabric was left over, so I decided to sew a sleep mask and I would like to share with you the steps, the project is quite simple even for a complete beginner. 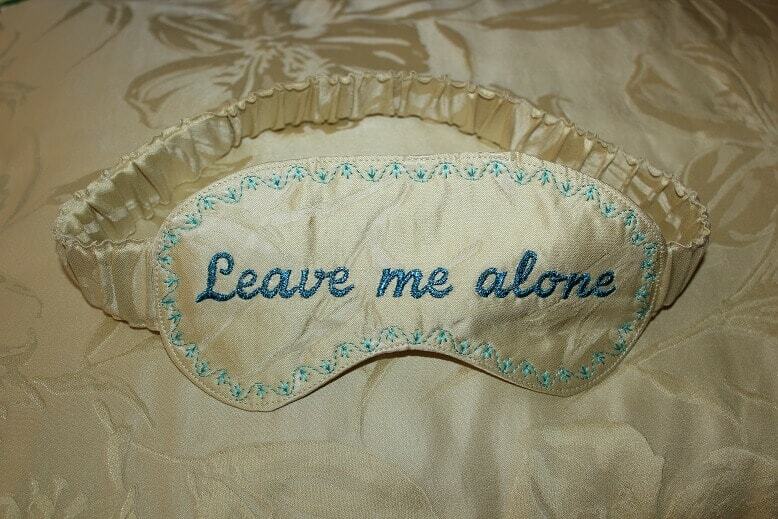 Why not make a nice sleep mask from 100% silk fabric especially that is not difficult? You will get the mask exactly as you want it, it can be customized easily to your face if at first it doesn’t fit well and at the same time you will improve your sewing skills and will be better prepared to next more complicated sewing projects.